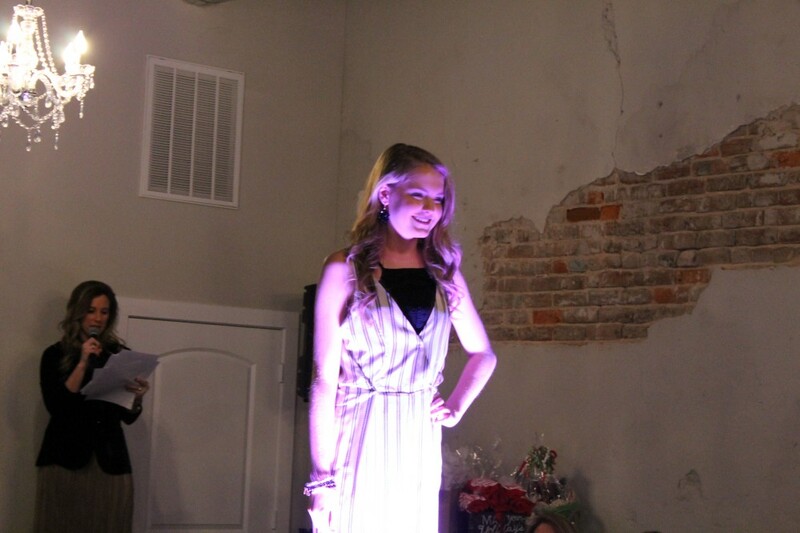 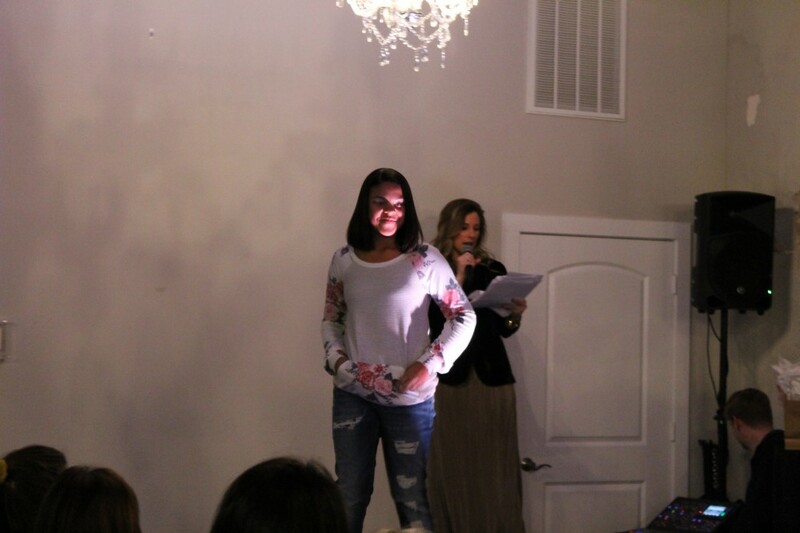 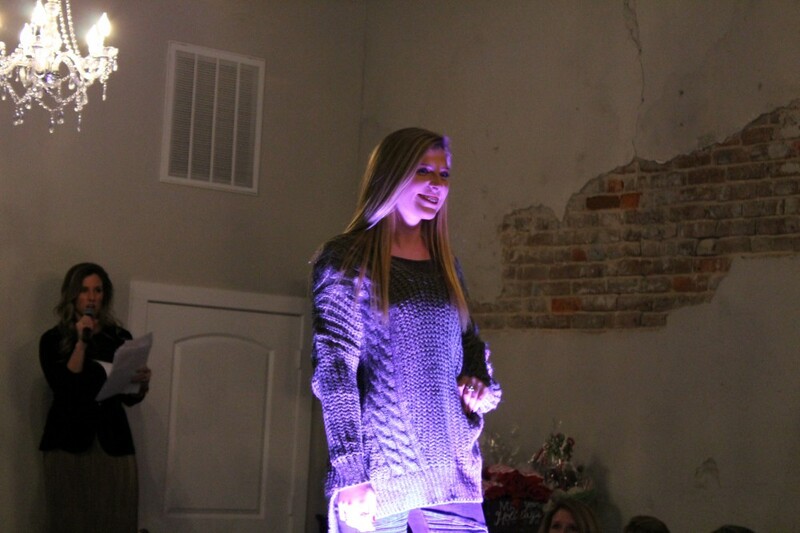 Sister Babyz Fashion Show was held Saturday Dec. 9th and was a huge success. 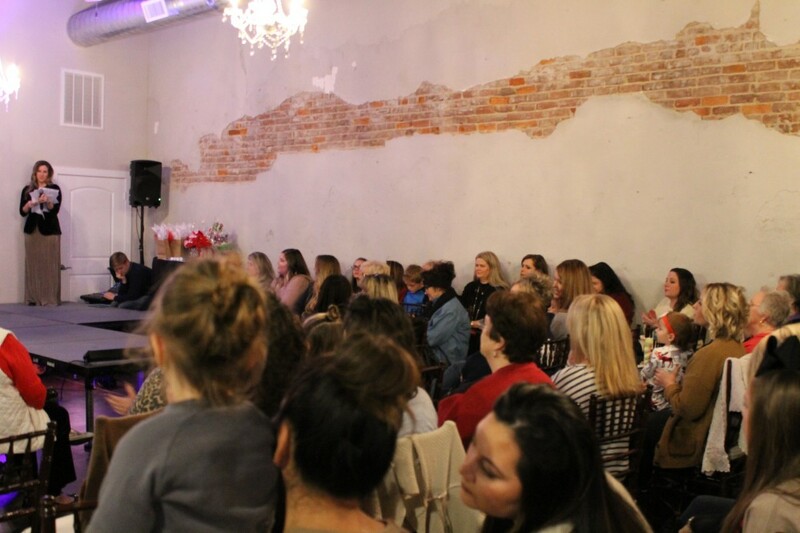 The popular Venue 219 was packed with standing room only. 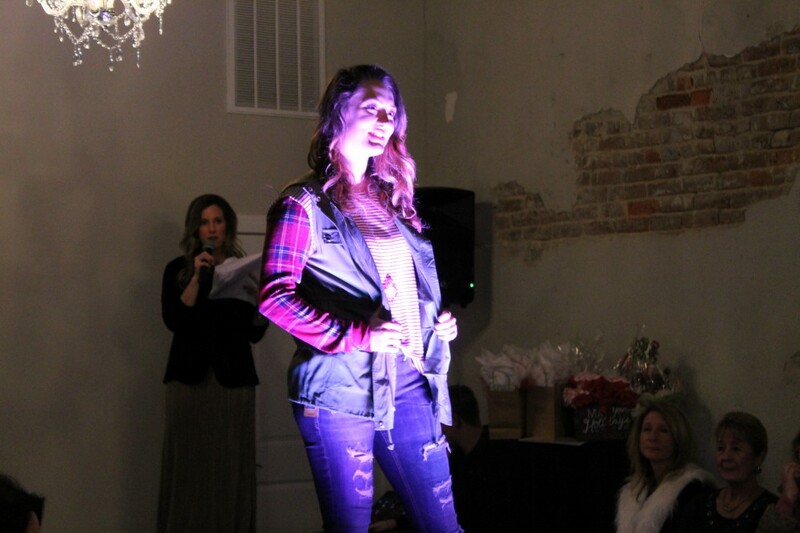 Local members from the community modeled creatively paired outfits. 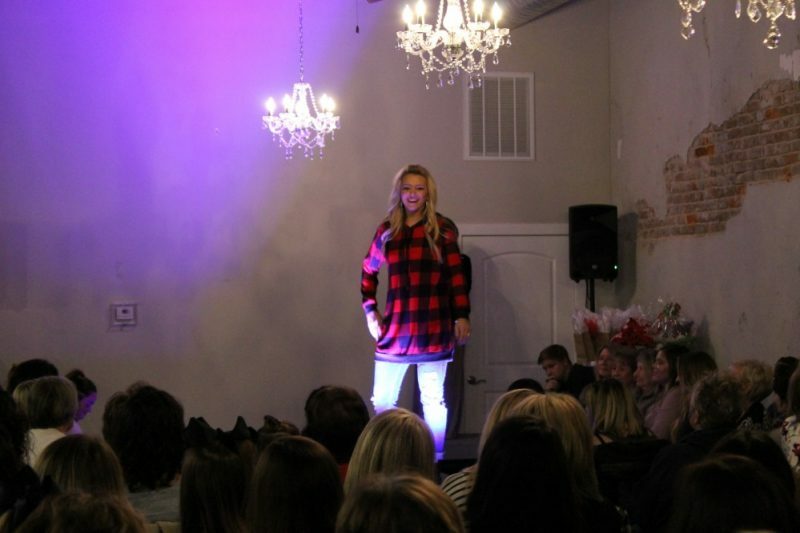 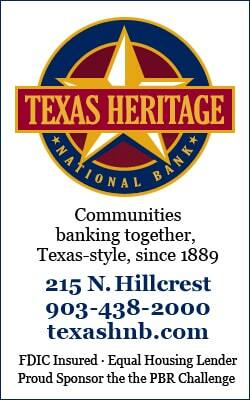 Plaids and velvet trends as well as sparkly ideas for the holidays were highlights of the show. 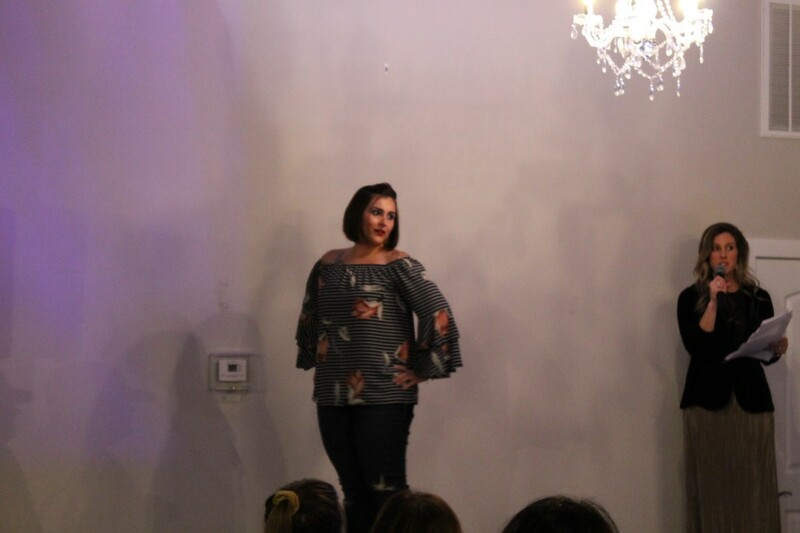 These new trends were matched with Sister Babyz staples of sassy sweaters, distressed jeans, and miles of various boots and booties. 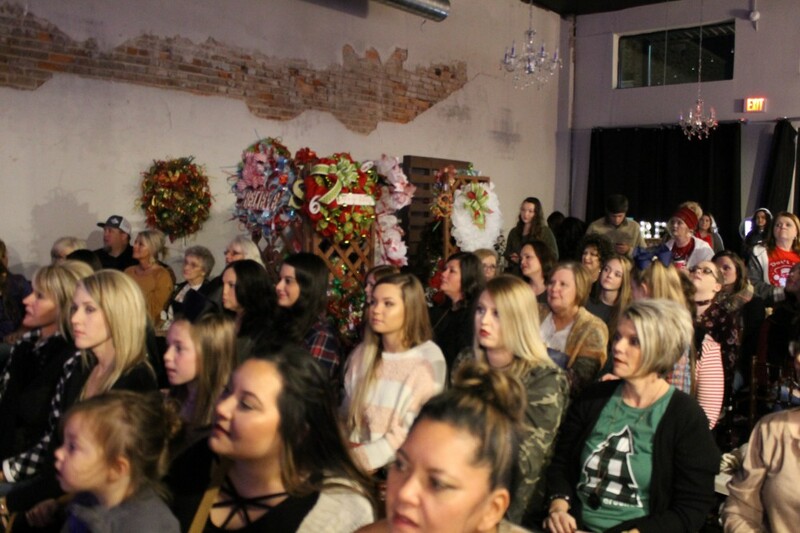 It was a night to remember, with multiple door prizes, as Sister Babyz rolled out styles to look forward to this winter. 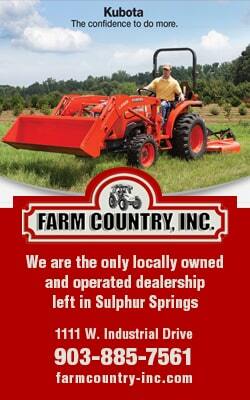 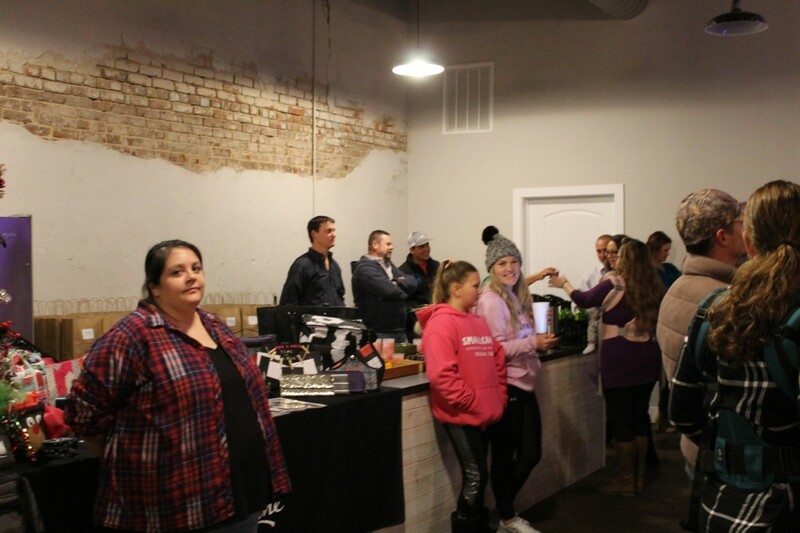 Complimentary coffee, wine and hors d’oeuvres were served by Phinesse Winery. 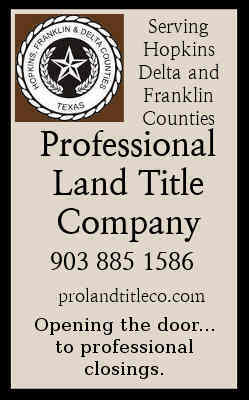 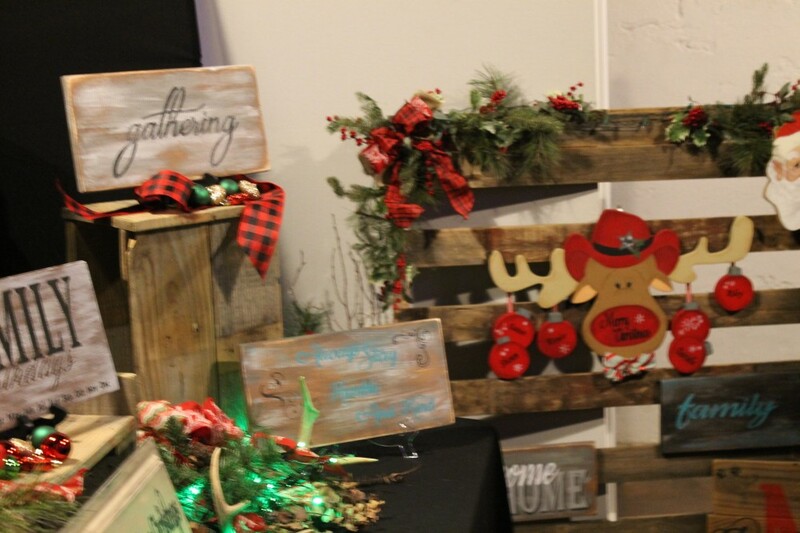 Many vendors had booths set up on the perimiter of the room and donated gifts for the abunant door prizes that were given out throughout the evening. 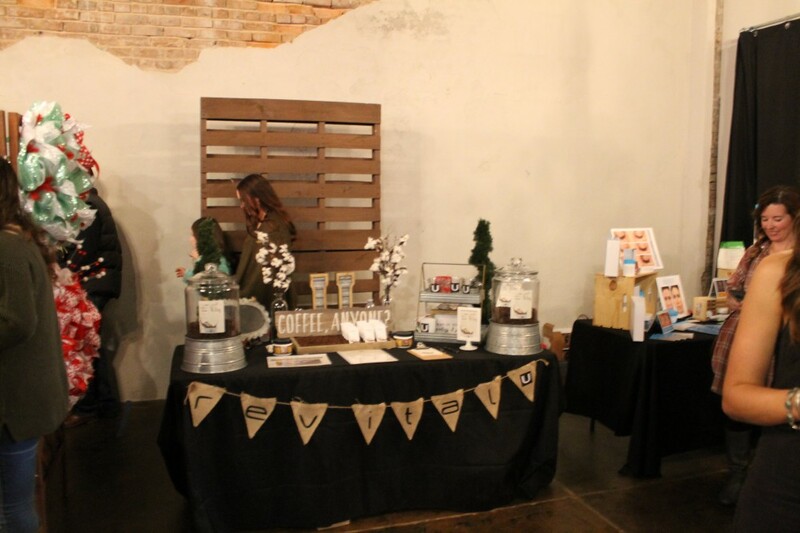 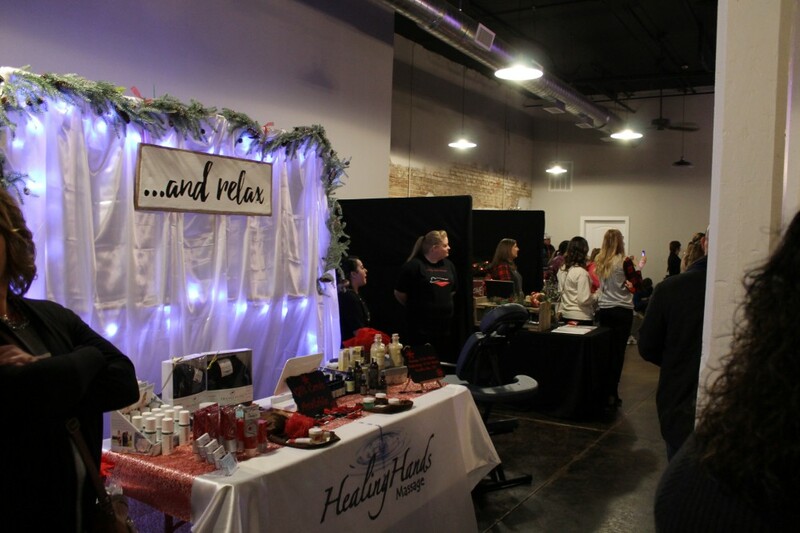 Some of the participating vendors were: Revitalize coffee, Healing Hands massages, Dana’s Southern Charm, Custom Christmas wreaths, R&F facial cremes and eyelashes, and Donna’s hand crafted signs, Lipsense, Essential Oils. 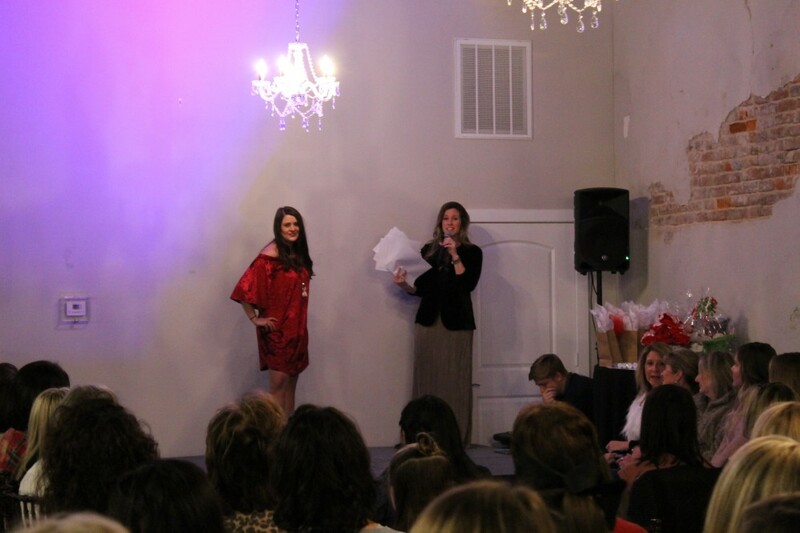 Local resident, Laura Owens, won Sister Babyz grand prize: a free outfit for each month of the year from Sister Babyz valued at $1200. 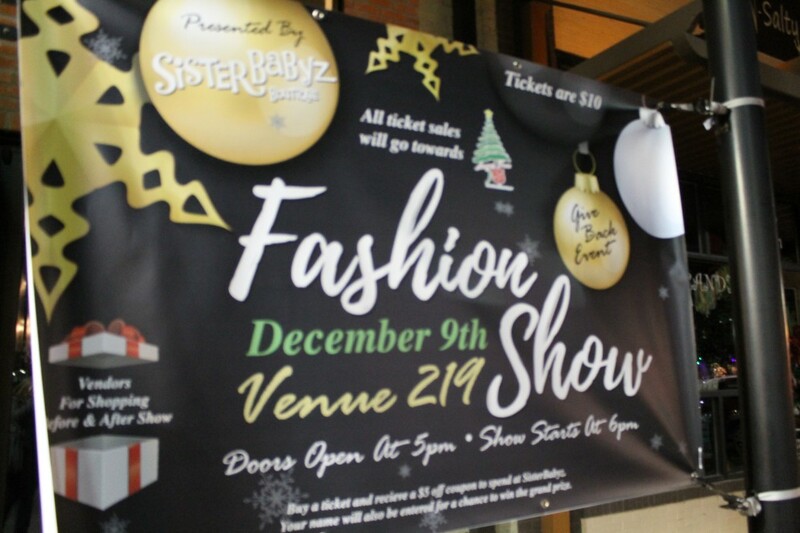 Congratulations to all the winners and to Sister Babyz for a smash hit on their fabulous Fashion show!